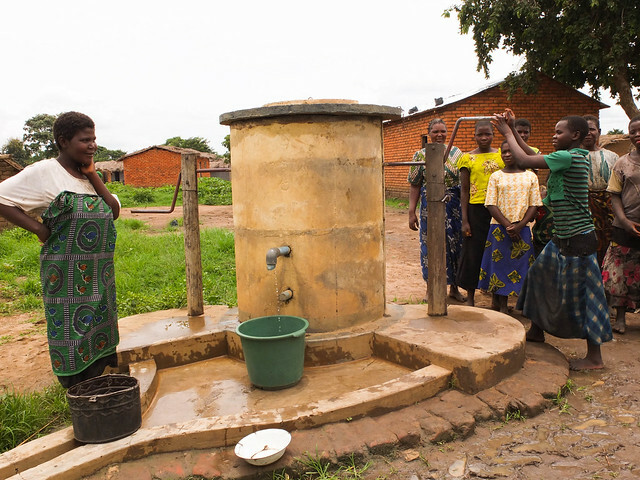 Pump Aid is an international charity based in the UK working to improve access to water and deliver vital sanitation and hygiene services to rural communities in Malawi. Launched in 1998, the organisation has secured water supplies for 1.25 million people living in some of the poorest areas in sub-Saharan Africa. In January 2014 I travelled to Mchinji District located in central Malawi for the first time to visit the rural villages where Pump Aid is working to improve the quality, availability and use of water. We have secured water supplies for 400,000 people in Malawi, and are now working to deliver a minimum of 1,500 pumps and reach 150,000 people by 2016. Throughout my trip I spoke with community members about water and how improved access has changed their lives. January is the height of the rainy season, and the landscape is lush with vegetation, mostly crops including tobacco, soya, maize and occasionally, small clusters of sunflowers grown for cooking oil. The rich landscape, however, masks the poverty that affects so many millions of people in the country, ranked among the poorest in the world by the United Nations. In 2012, the average annual income in Malawi was estimated to be just USD$320—far below the international poverty threshold of $1.25 per day, as defined by the World Bank. A large number of households in Malawi harvest just enough to feed themselves and their families. Water poverty is therefore a significant burden for rural communities, and exacerbates the challenging conditions in which they live. Official estimates claim around 2.5 million people in the country live without an improved water source, but the number could be more than twice as high. 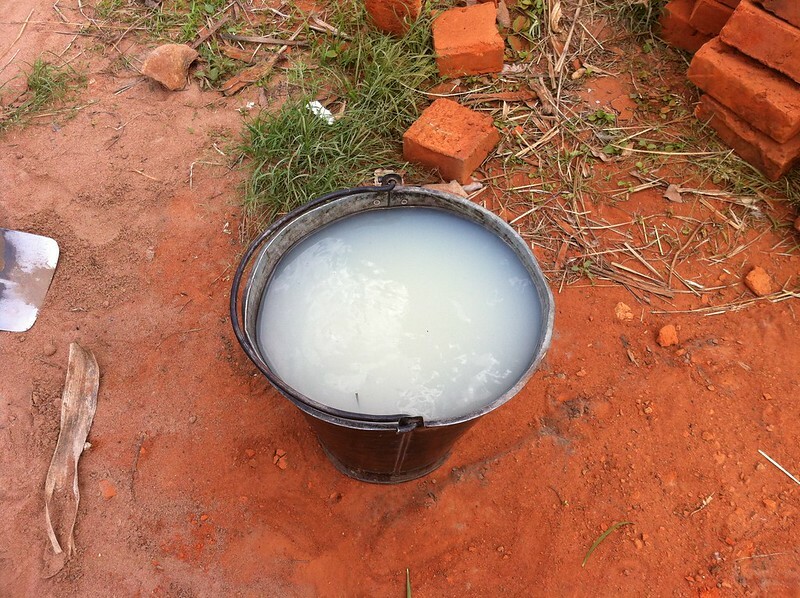 Many drink, cook and clean with water from open sources like this one, or from rivers and lakes, including Lake Malawi. 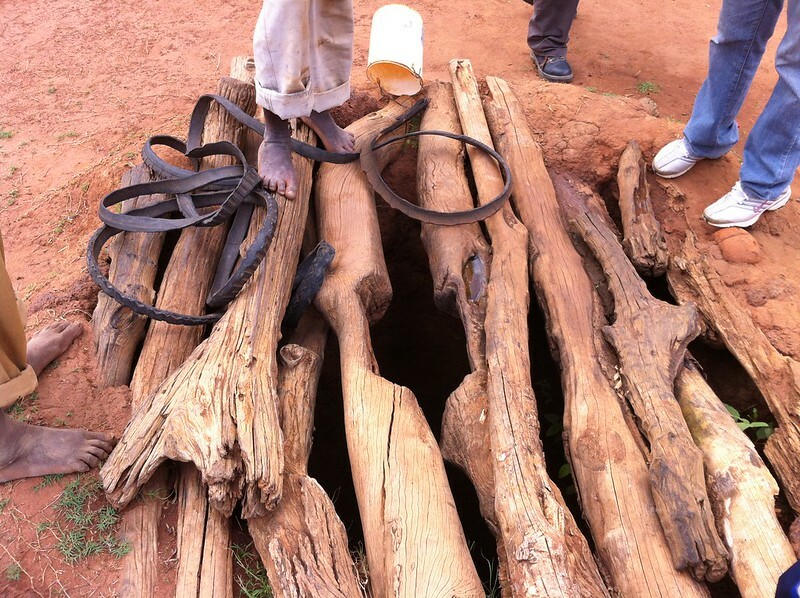 In this village, pieces of wood over an open well provide little protection from contamination, particularly during the rainy season, when heavy rains can push organic matter, including faeces and animal carcasses, into the water. This bucket holds water collected from a local source used by nearby villages for drinking, cooking and cleaning. Consuming water from an open source can cause life-threatening illnesses, particularly for those with vulnerable immune systems including babies and young children, the elderly and people living with HIV/AIDS; nearly 11 percent of the country’s population currently lives with HIV/AIDS. As a consequence, too many people, most of them young children and infants, suffer from preventable diseases and malnutrition. Tragically, many do not survive. 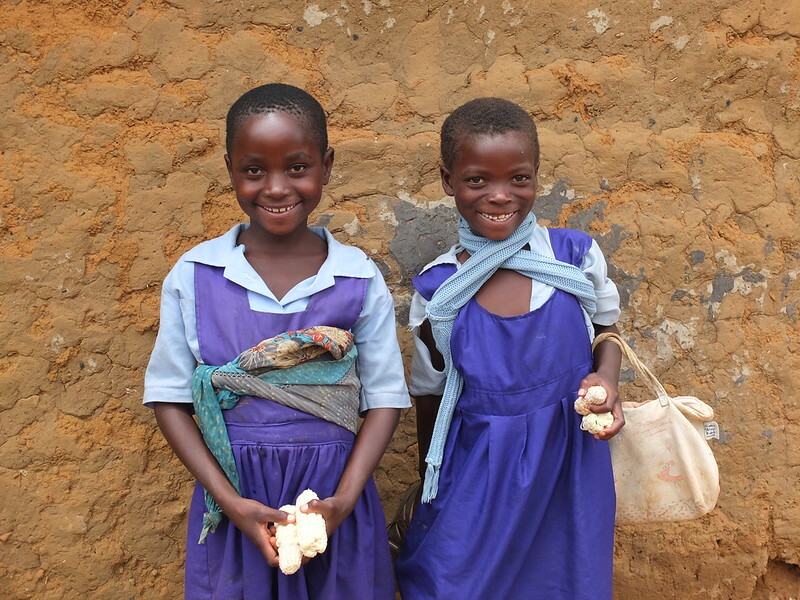 Diarrhoea is the second leading cause of death among children under five in Malawi. Nearly 50 percent of all illnesses in Malawi are due to preventable waterborne causes. In the village of Chimutu in Mchinji, an unprotected well was the only source available before we installed a pump in 2011. A short, squat block made of cement or bricks and a large spigot, the pump may not look like much from the outside, but its solid body and heavy cover protect the water from contamination. Inside the pump, a system of PVC pipes, ropes, washers and a single wheel are hard at work drawing protected water up from several metres below the surface. While visiting Chimutu, one woman wrapped in a traditional chitenje fabric imprinted with black and white stars, moved towards me and extended her hand. 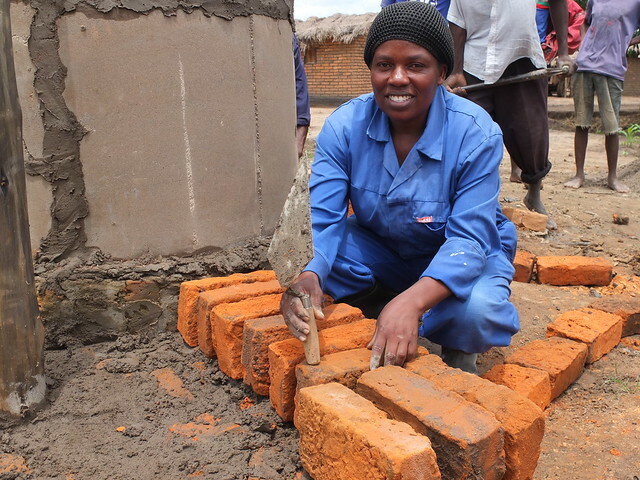 Fausida Fanta has lived in the small village for more than 20 years. She told me she has raised eight children here—the oldest is 25 and the youngest is eight. 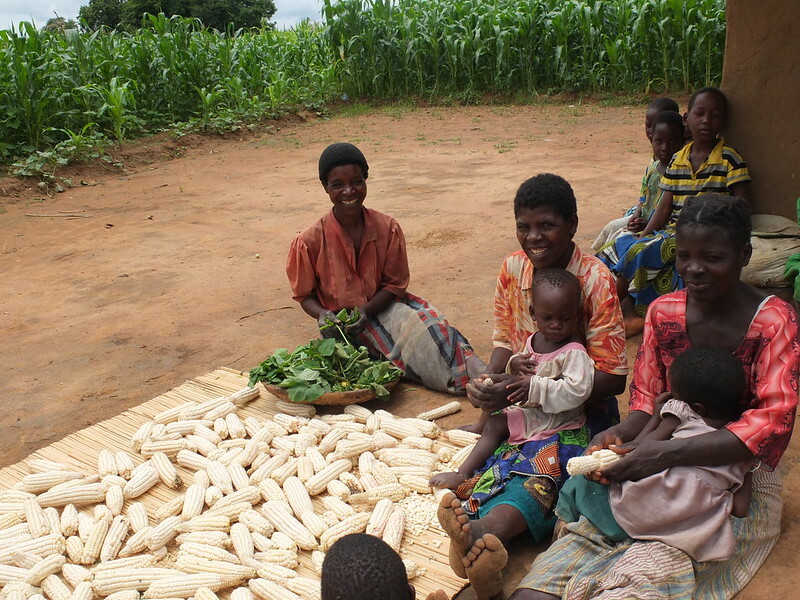 With the help of her children and husband, Fausida tends to the family’s crops: soy, groundnuts, and maize. They also grow tobacco for commercial sale. In front of her one-room brick house, I asked her about life before the pump was installed. She recalled that, during the rainy season, downpours push debris and other pollutants into the water. The pump, with its heavy cement cover, protects the water source and ensures easy access for the entire community. She is thankful for the pump which she said serves many people beyond her own village. “Zikomo kwambiri,” she said. Thank you so much. This was Jerrison village, where a team of Pump Aid builders were installing a pump over an old borehole to secure the water supply. Since the start of 2014, our pump builders have built and installed an average of seven pumps a day, as part of a UK Department for International Development (DFID)-funded project. 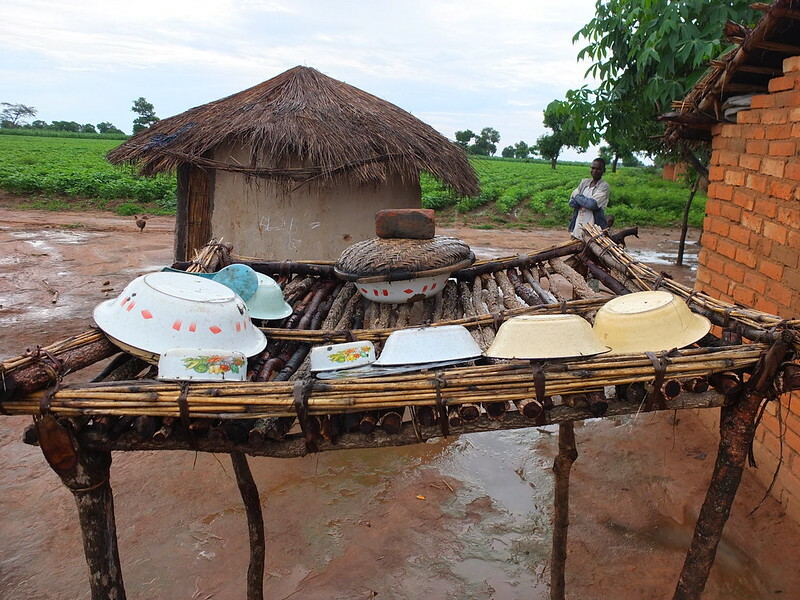 During the rainy season, every household is engaged in farming activities. Here in Namizana, in Mchinji District, women gathered to prepare nsima, a staple dish, made of corn, or maize, as it is known locally. “The rainy season is critical for growing crops. Families need these crops to sell and to feed their families,” said Alex, head of our pump building team, who has been working with Pump Aid since 2004. Alex has worked in many communities installing pumps, speaking with them about their need for a reliable and protected water supply. In recent years, he said, the rainy season, which should start in early fall, has been starting later, making the planting season shorter, and unpredictable. 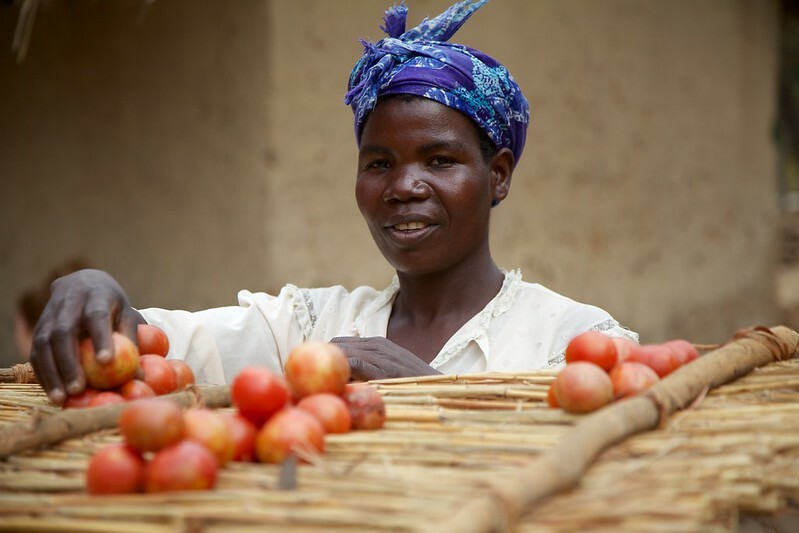 “Many villages did not start planting until December; what this leads to is a smaller harvest.” What this also means is less income for households, and more hunger. Each community we work with is heavily dependent on farming, making them extremely vulnerable to environmental and climactic shocks that affect water supply. Nearly 80 percent of Malawians are small-holder farmers, while 60 percent of the population relies on subsistence agriculture. Climate change has increased the incidence of droughts and floods and, according to recent studies, these extreme weather patterns will continue to worsen as climate change remains unchecked. 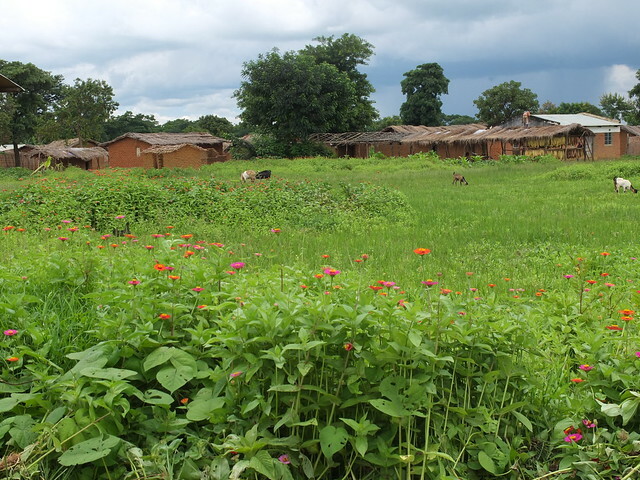 In the case of Malawi the effects of floods and droughts are worsened by soil degradation, high population growth, the farming of marginal lands, and deforestation. Sustainable pumps help protect water supply, and can help ease the burden of nourishing small crops—and it can make a substantial difference in people’s lives. As a result of a community pump, Makulata, a mother of three children, has been able to start a small business making bread and growing tomatoes for sale. Improved access to protected water has made more time available for her to focus on income-generation opportunities; she is now able to pay for her children’s education and send them to school. The lack of convenient access to safe water and sanitation affects almost every part of daily life: increased illness from parasites leads to decreased productivity planting and tending to crops, and for children, it means days out of school. Here in Namizana, two girls dressed in bright blue uniforms returned with freshly picked corn. They are among the fortunate in the village who are able to attend school. Many children, particularly girls, spend hours walking to and from a distant, often contaminated, water source—only to find that it has dried up. Speaking to women in the villages where we work, we discovered that children often miss school because their mothers are away from home to obtain water from a distant source; by the time they return home, it is too late to send their children to school. The average distance that women and children walk to collect water is 6 kilometres. Improved access to safe and secure water has shown to lead to better education and health outcomes, as well as socio-economic opportunities. A large percentage of waterborne illnesses could be prevented with improved sanitation and hygiene practises. The lack of adequate sanitation in rural areas is a serious problem, leading to the common practise of open defecation. In communities where Pump Aid is just starting its hygiene and sanitation work, it is common to find evidence of this practise: human faeces scattered around the village. Today, nearly 7 million people in Malawi lack adequate sanitation. The socioeconomic costs of poor sanitation costs the country nearly USD$60 million every year. Routine hand-washing can help prevent millions of illnesses and deaths, particularly among children and infants. 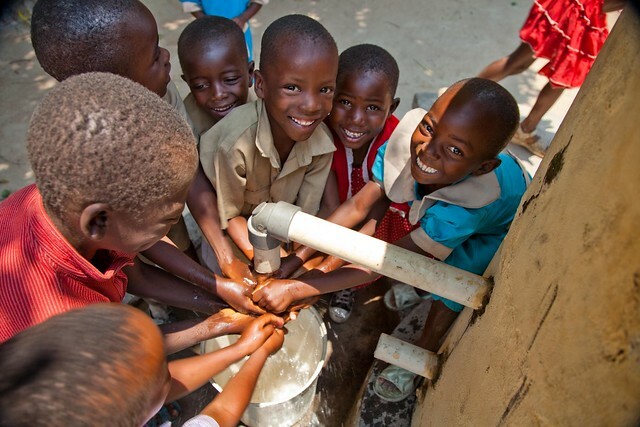 According to the World Health Organisation, hand washing with soap and water can slash highly preventable diarrhoeal diseases that take the lives of 1,400 children under five every day—nearly 760,000 annually. As part of our DFID-funded project, our community facilitators are working with rural villages to promote better hygiene practises. It is especially critical for mothers, who shoulder many if not all water-related responsibilities, to attend these village meetings to ensure better hygiene practises in their households. Improving access to protected water sources is vital for protecting lives and livelihoods, but it is just the beginning. Community facilitators can help ensure people have the knowledge and tools to safeguard their health through best practices in hygiene and sanitation. 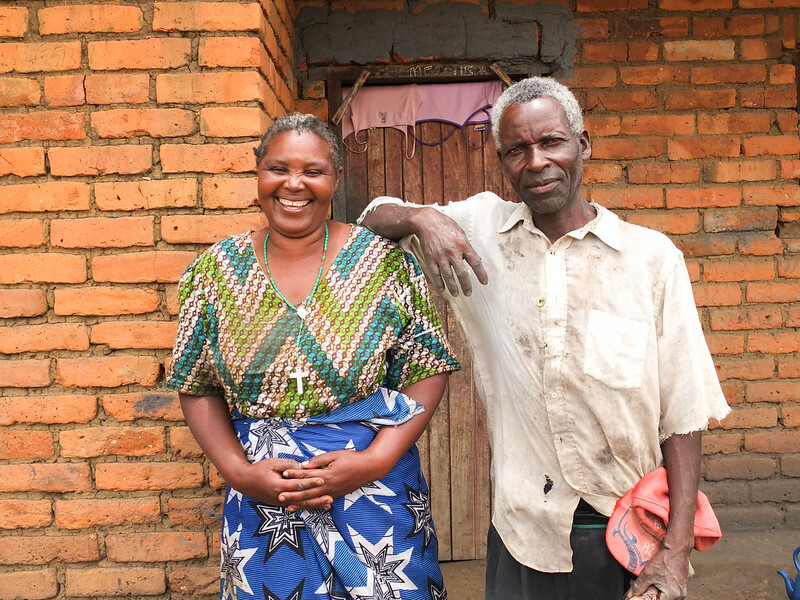 “Our work as community facilitators is to guide the conversation on hygiene, and the consequences of open defecation,” said Wellington Nkhoma, who coordinates Pump Aid’s community facilitators. “But it’s up to the village to make the commitment to end the practise.” Here he guides a discussion in Kapanga village. 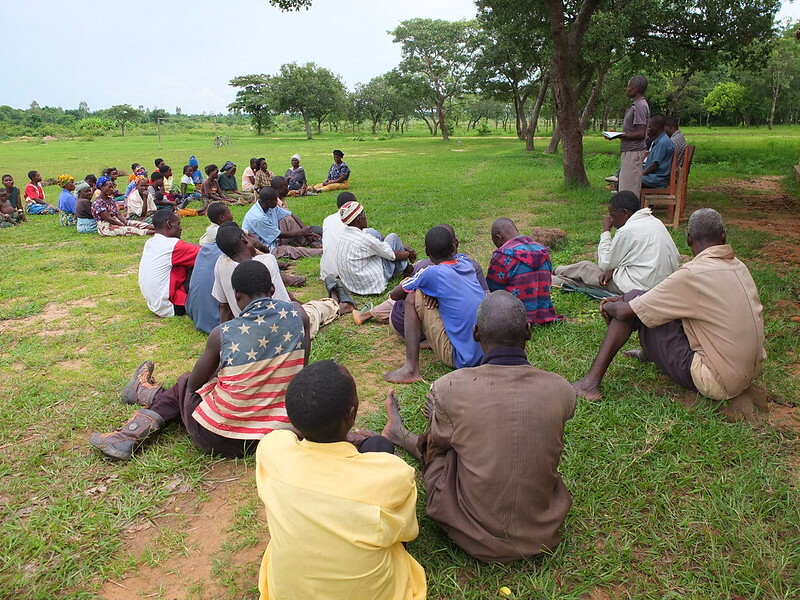 During this meeting, opened by the village chief with a prayer, women sat in one group, and men sat together in another. One successful village is Chinkono. More than 20 kilometres from the main highway in Mchinji, it is among the most remote villages where Pump Aid works. Invited by Chinkono’s village chief, Wellington and Amelias, another Pump Aid community facilitator, visited the village, home to 26 households, for the time first time in October 2013 to discuss better hygiene and sanitation through a popular approach called community-led total sanitation, or CLTS. This approach puts community empowerment at the forefront of behaviour change; it recognises that universal commitment, mutual support and collective action are essential to achieving positive changes in perception and behaviour. Proud of what her village has accomplished, the village chief’s wife showed me her newly constructed elevated dish rack outside her home, which prevents contamination of food and clean dishes. At the close of the first hygiene facilitation meeting in Chinkono, known among CLTS experts as “triggering,” the entire village of 30 households publically committed to implementing better hygiene and sanitation practises: constructing individual latrines for every household, washing hands after defecating, storing dishes and food on an elevated rack to prevent contamination, and using a two-cup system for drinking water, for example. Within two weeks, the entire village had achieved complete hygiene and sanitation improvement in just 14 days.